If you're holding out on buying an iPhone until the new one is out, mark down Apple's just-announced September 12 event on your calendar: that could be the day the phone is revealed. Posted by The Loop, the invite says the event will begin at 10 AM PDT at the Yerba Buena Center in San Francisco. 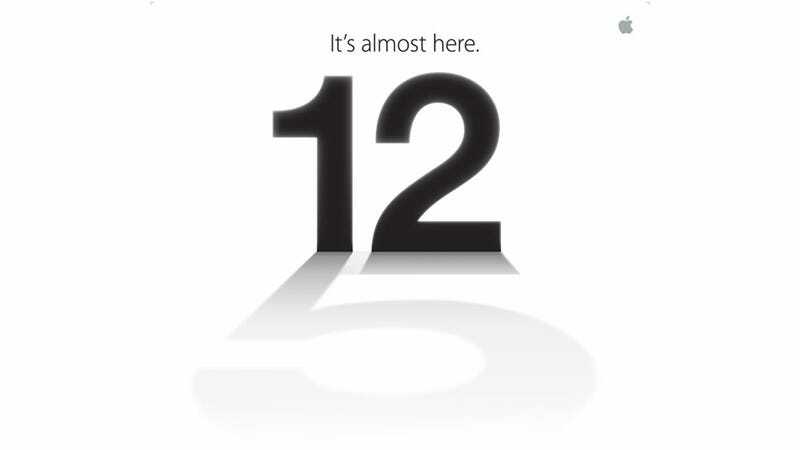 If you wanna read into the teaser image Apple sent out, the shadow of the 12 is a 5, implying that they just might actually call the next iPhone the iPhone 5. If you haven't been keeping up, rumors have suggested the iPhone 5 will have a new two-tone unibody design, a smaller, redesigned dock connector, 4G LTE and a larger 4-inch display using Sharp's IGZO technology. There's also a possibility the phone could have NFC technology baked in, along with redesigned earbuds.